Reef & Rainforest has had a terrific year! Our sales team was able to get away from their busy desks, get in the water, and explore above and below. Jenny traveled with a small group for some fantastic diving at Tofo Beach Mozambique which is known for it’s Manta dives. 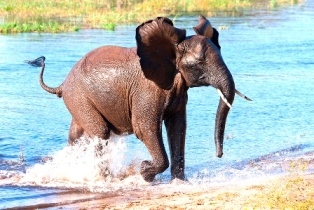 She then continued on into Kruger National Park in South Africopard eluded her. She also did a stopover in Abu Dhabi to check it out as a stopover and have some fun sand skiing.a for amazing safari in where once again, the Leopard eluded her. She also did a stopover in Abu Dhabi to check it out as a stopover and have some fun sand skiing. 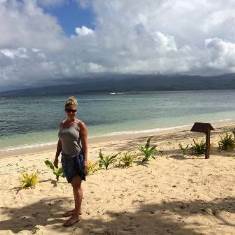 Melissa took a delayed honeymoon and spent time at four amazing resorts checking out the variety of diving in the top areas of Fiji. She started at Waidroka Bay Resort where she did the famous shark dive, continued on to Lalati, then Wananavu and ended in Qamea on Taveuni. She fell in love with the resorts, the Fijian people and diving in the “Soft Coral Capital”. 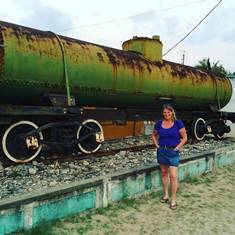 She is planning to explore more South Pacific Islands in 2017. Mike attended Indaba in Durban, South Africa in May. This is the world’s largest Africa Travel Trade Show. It was four intense days of learning all about Africa. Once the work was done it was time for fun. He flew into private safari lodges in Botswana, followed by a stay at Victoria Falls and then to another lodge in Zambia. He’s ready for an epic dive trip next year. 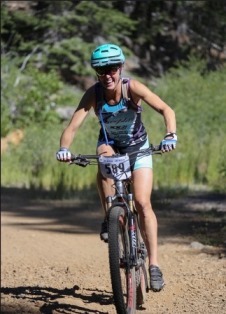 Kim was so busy this year training for Xterra she didn’t have time for a big overseas trip. She was able to get away to Victoria, Canada where she competed. She had her work cut out for her once she qualified for the World Competition in Hawaii in October. She is ready for some rest but has qualified for World 2017 already. We are all very proud of her!